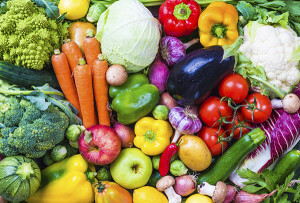 June is National Fresh Fruit and Vegetable month. At Generations Healthcare Network we make sure that each facility works with our dietary department to ensure our residents are getting the proper nutrients, fruits and vegetables daily. The typical guideline for servings of fruits and vegetables are 5 to 13 servings of fruits and vegetables a day. That equals about 2 cups of fruit and 2 ½ cups of vegetables daily. Fruits and vegetables are rich in vitamins and minerals that aid in helping your body perform and look its best. They can also lower your risk of heart disease, stroke, diabetes, cancer and other diseases. Nenita Guzman is the Director of Food Service Management at Generations Healthcare Network and she provides consultant services to contracted facilities. Her role is to assist the facilities serve nutritious, tasty, appetizing and eye pleasing meals. She partners with our food service vendors and dietitians to ensure menus are designed to meet the dietary requirements for all facility residents. Generations Healthcare Network facilities focus on bringing a top class dining experience to their residents through cooking with fresh ingredients as well as two facilities offering a salad bar, which is all fresh and has a variety of options such a fruits, vegetables and other toppings. Residents are also offered the choice of tomato juice or V8 to accompany their meal.